It took me longer than usual to write this travel diary, largely because I'm still not sure how to describe a place like this in words. I recently crossed Banff off the top of my travel list, but honestly I feel like I should keep it there as a reminder to return. The area encompassing the Canadian Rockies is almost surreal, with a natural beauty unmatched by most of the manmade cities I've seen. Between the towering mountains and pristine lakes in seemingly photoshopped shades of blue/green, it is truly one of the most beautiful places I have visited. 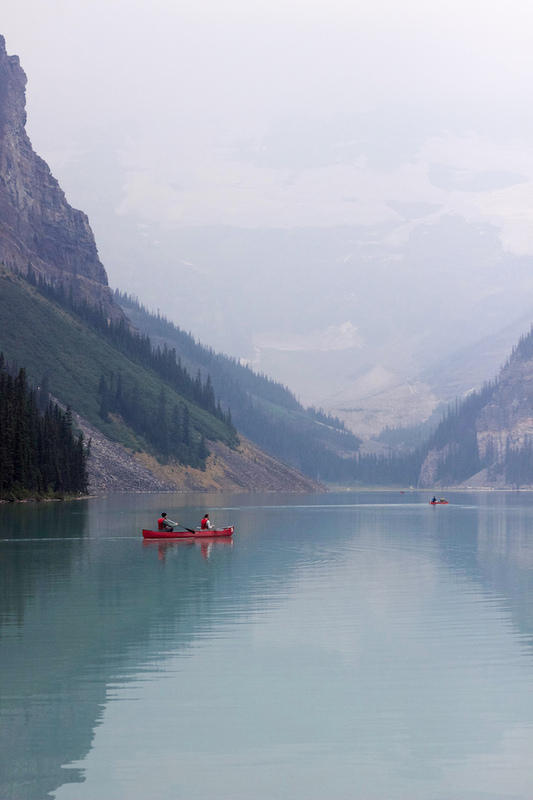 We spent a short three days in Banff and its surrounding areas, and while that definitely was not enough, we were fortunate to experience a great deal of its magic. Read on for photos from our trip and a full itinerary, because anyone who hasn't been absolutely needs a trip to this incredible place one day. Leesa® kindly provided this mattress to me for review. All opinions are my own. With my recent move I have been determined to invest wholeheartedly in my new space. 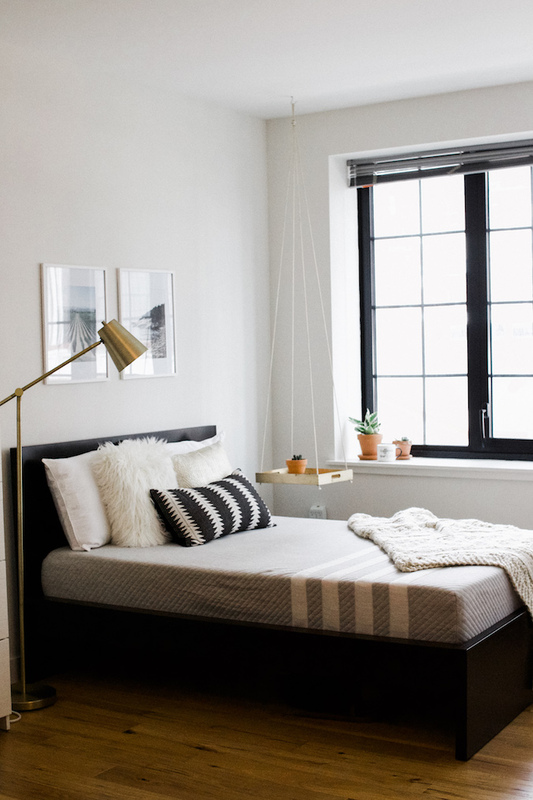 Designing an apartment in New York City becomes a trade-off -- how do you hold back on spending too much for a rented space, while still making it the place you want to go home to? I've been especially focused on the space surrounding my bed because a good night's sleep makes all the difference. At least a third of our day is spent on sleep, and the quality of that time can determine how you spend the 16 hours following. Keeping that in mind, for this move I gave my bed a refresh with Leesa®, a mattress that ships free directly to your door with a design that ensures ultimate comfort. The summer heat has its way of energizing and tiring you all at the same time. I'm still in disbelief that we're finishing up the first week of August, and like most other summers, this one seems to be passing by too quickly. With all this summertime adventuring I've found that my wardrobe has taken a back seat and likely won't see any major upgrade until layering season is back in session. So for now you'll find me venturing around the city and beyond in the clothes that will take me wherever the days bring, from morning to night. My schedule regularly involves hopping from my full-time job to events and dinners around the city -- and for the sake of convenience I prefer to dress appropriately for everything, all at once. 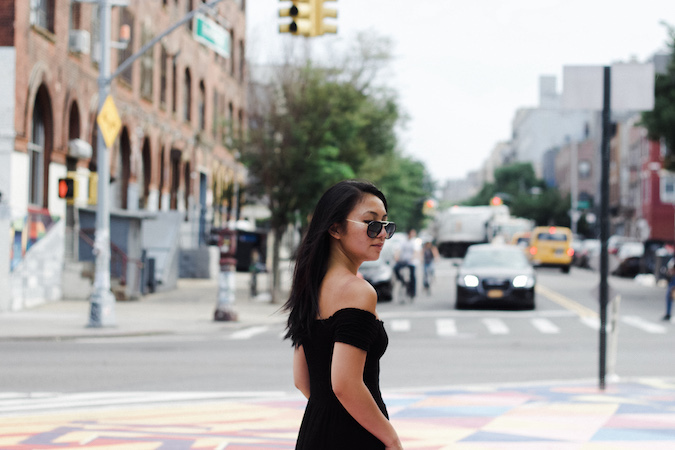 This breezy black dress couldn't have been more ideal for last week's outings. An easy footwear swap took me from my office to Superdry's Brooklyn rooftop party without annoying bags or awkward bathroom outfit changes. It is really the only summer wardrobe update I need -- easy, comfortable, and ready for anything.